This past week saw the heated rhetoric over North Korea and its so-far unstoppable nuclear missile threat rise to a whole new level not seen since the armistice that brought a close to the Korean War in 1953. What started with punishing sanctions enacted by the United Nations devolved into a worrying war of savage threats on the part of both sides. Gold is your best defense against the increasingly likely prospects of either a conventional or nuclear conflict erupting on the Korean Peninsula once again. 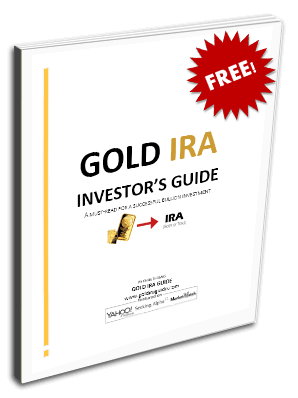 Gold makes sense in an IRA precisely because it protects your retirement assets in times of financial crisis like this series of events is sure to bring on the world. To be completely fair, it was not the often-fiery U.S. President Donald Trump who started the name calling this time. The younger inexperienced North Korean Kim Jong Un upped the proverbial ante by promising that the United States would “pay dearly” for the crushing new sanctions. He then took the threats a step further by declaring he was looking into plans to fire one of his much-feared ICBM missiles towards the U.S. military based located on Guam in the Pacific Ocean. More worrisome still was the report by the Washington Post. It included an analysis that cited a Defense Intelligence Agency. The report warned that North Korea's military has finally realized its long-standing and decades pursued dream of successfully creating a miniaturized nuclear warhead that it can mount on its ICBM missiles. It did not take global, and particularly Asian, financial markets long to react to the unfolding barrage of violent threats volleying back and forth. The U.S. President's “fire and fury” comments shook world stock markets ranging from New York to Tokyo to Seoul. The world financial markets are used to heated rhetoric from the North Koreans, but they expect a greater level of restraint from the United States' leadership. The increasingly real possibility that President Trump will counter the threats of Kim Jong Un shook the markets to the core as they began reviewing the dwindling options on the list of economic and military responses remaining to the administration. While the S&P 500 only declined to its session lows yesterday, the CBOE Volatility Index catapulted up 11 percent following the President's incendiary remarks from New Jersey. The South Korean Kospi benchmark dropped 1.1 percent with its currency taking a more serious beating of .8 percent, representing a three week low. Japan's benchmark Topix index declined its largest amount in nearly three months. The inevitable North Korean advancement on its final remaining technological hurdle of miniaturizing the nuclear warheads it has been testing for over a decade has spurred on this recently escalating Korean Peninsular crisis. Added on to the recent two test missile flights of the ICBMs back in July, they are fueling the fire for President Trump to respond forcefully. Japan's Chief Cabinet Secretary Yoshihide Suga told Tokyo reporters that he welcomed the American decision to keep all options on the table. Though in the past the North has traditionally fired off inflammatory rhetoric against the United States and its military presences in Hawaii, Japan, Guam, and South Korea, this latest threat was upped to a whole new level. Only a few days ago, President Trump was pleased with the unanimous decision of the United Nations Security Council to clamp down more forcefully the various existing North Korean sanctions. These now target roughly a billion dollars worth of the country's $3 billion in international exports. Yet analysts report that such measures have come too little and too late to decrease Kim's powerful rush of momentum. The only thing that Kim still lacks is better control and guidance capabilities with his reentry systems which would allow him to more precisely direct a nuclear weapon to a mainland U.S. point without it breaking up in space. Once his rockets are able to fully survive atmospheric reentry, they will be nearly impossible to stop. Even as Trump fires off his latest verbal salvos at the North, Rex Tillerson his Secretary of State is rallying allies throughout Southeast Asia in an effort to bring the firmly region together against Pyongyang while still keeping open the door of negotiations to the reclusive regime. On Monday he visited Thailand, while on Wednesday he is en route to Malaysia. The only reason that the U.S. is still bothering with over two decades of impotent sanctions against the North is because the military assault option offers such a grim and unfathomable picture for the developed world order. Ten million South Koreans reside in Seoul, a mere 35 miles (or only 56 kilometers) south of the border with North Korea and its massive and many artillery pieces and missile launchers stretched threateningly along the shared DMZ border. Of all the world leaders opining on the subject, only the Australian prime minister is being brutally honest with you. All of your investments within your retirement portfolio are at risk. IRA-approved gold is the only historically proven safe haven and hedge that can save it from a Black Swan event like this one (or a dozen others). Get some of the Top 5 gold coins for investors today while you can still afford the price.